The development team have announced some major changes coming to Dragalia Lost on April 25th/26th, following some maintenance. Basically, they’re changing how summoning works. They have received tons of feedback since launch, and have made quite a few changes in various areas. But there’s one they haven’t touched yet: summoning. But this will soon change with the upcoming update, which will make a significant change to how summoning works. The amount of eldwater required will reset after the 5th trade. NB: no changes to the amount of diamantium used for the Daily Deal, the number of times you can summon with a Summon Voucher or Tenfold Summon Voucher, or the prices of any summon-related products in the Shop. 3★: The total of the difference between the amount of eldwater effectively received from past summons using diamantium, wyrmite, or summon vouchers, and the expected average amount of eldwater which could have been obtained using the new summoning prices above. Basically, the amount of eldwater you will get as log-in bonus will be based on the difference between the old and new values, and this is for every single character or dragon. The collab. event with Fire Emblem Heroes, called Fire Emblem: Lost Heroes, will go live right after the mainteance on April 25th/26th, and will run until May 14th. More details to be shared in the near future! 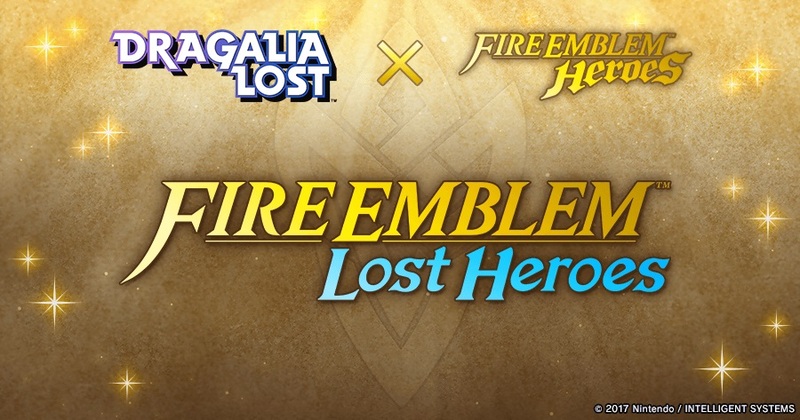 As usual, keep an eye on the Events and Content Updates and Summons page to keep up to date with all that’s happening in Dragalia Lost!